CHICAGO (WLS) -- A marketing company has found a possible solution for Blackhawks fans hoping to wear fan gear to Tampa Bay's stadium during the NHL Final. The policy at the stadium where the Lightning play states that opposing team apparel cannot be worn in the club section of the arena. "If Tampa isn't going to let us wear actual Blackhawks apparel to the game, then we might as well have some fun with it," said senior designer Steev Szafranski. 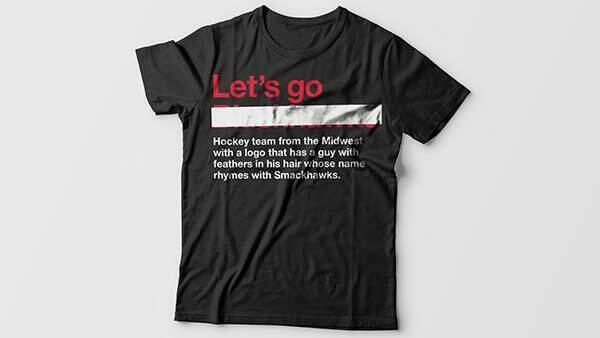 The shirt has the word "Blackhawks" stamped out and replaced with the words, "Let's go hockey team from the Midwest with a logo that has a guy with feathers in his hair whose name rhymes with Smackhawks." The Lightning announced restrictions Monday to try to prevent Chicago fans from getting tickets. "I will be in Hawks regalia, rest assured!" Blackhawks fan Tony Loquercio said. Loquercio isn't afraid of a little lightning, but Tampa Bay is apparently afraid of Hawks fans overwhelming their stadium like they've done in other cities. The team limited online ticket sales to Florida residents only and posted this advisory for those with elite seats: "Only Tampa Bay Lightning team apparel (or neutral) will be permitted in these club and adjoining seating areas. Fans wearing visiting team apparel will be asked to remove them while in these areas." Tampa is not the first team to try this stunt. Nashville and St. Louis have limited sales, too. Not only do the Hawks have a huge fan base, but in some cases, it can cheaper to see a game on the road. Brokers say the "cheap" seats in Tampa are going for $500. It's $650 for standing room at the United Center. A lower level seat will cost you $750 down south, but $1,500 here in Chicago. "Some people are figuring out I'll use my points and we're going to take a flight and get a hotel and watch our hawks out there and support them in Tampa Bay," said Max Wisvisz, of Gold Coast Tickets. But Loquercio sees it all as a good sign. "When you get to the point Steve Yzerman is more worried about fans wearing jerseys than how to stop Patrick Kane, Jonathan Toews and Dunkin Keith, they've lost already," Loquercio said. 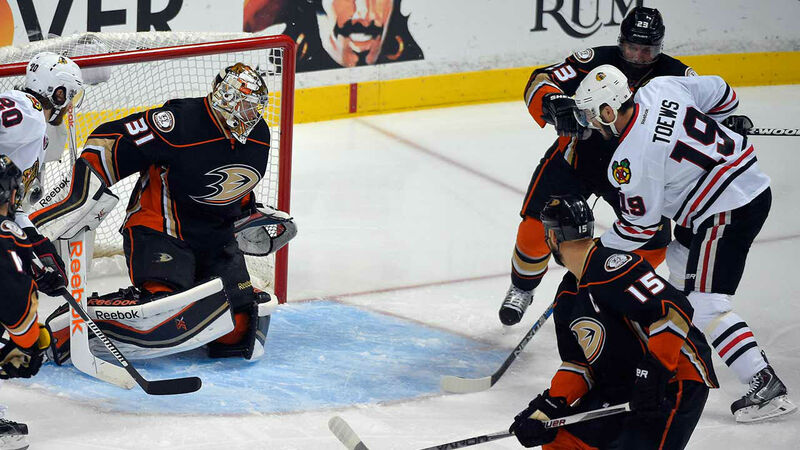 View images of the Chicago Blackhawks in their quest for the cup in the 2015 NHL Stanley Cup Playoffs.